When Murray and Emily James moved to London from Sydney three months ago, they knew renting in London would be hard. Adding to that, the Sydney couple moved to Great Britain months before it was due to “Brexit” the European Union. For those looking to rent in London, property experts say, it remains expensive and the city is caught in the grip of political and social uncertainty. Mr James, a high school teacher, found work within a week, but it was two months before he and Emily found a home in East Dulwich, in the city’s south east. “I feel like it’s more expensive, it’s definitely more expensive here,” the 29-year-old said. Marciarn Vardakas moved from Sydney to London more than a year ago, and now works at a high-end restaurant. “When I came to London originally it was September, there were a lot of people looking, so finding an apartment was difficult,” she said. Australians moving to London, Ms Vardakas said, should be aware that rent takes a larger portion of the weekly wage. There are about 41,000 Australians living in London, according to the city’s most recent figures, almost half of the total population of Aussies living in the UK. There has been a fall in property prices in London over the past year — prices fell by 1.6 per cent, according to the Office for National Statistics — but a slight rise in rental prices of 0.1 per cent. “We’ve seen an increase in people renewing their rentals,” Marcus Dixon, head of research at LonRes, said. Neal Hudson, a property expert and director of Residential Analysts, said while rental prices have been flat, they were still high. From about 2011 to 2017, rental price rises rose by between roughly 2 per cent and 5 per cent year-on-year. Since then, it has been flat and barely nudged one per cent, according to the official index of housing rental prices. 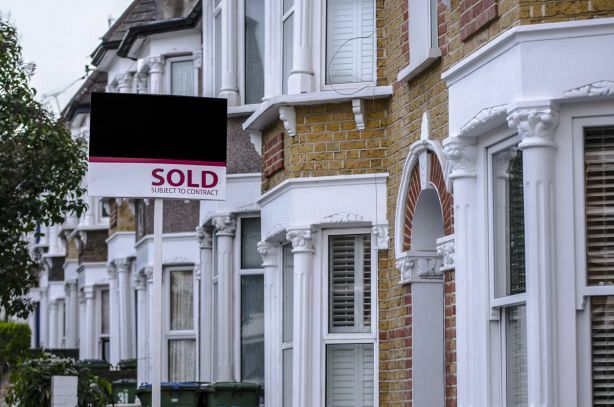 The Royal Institute of Chartered Surveyors, which regularly surveys hundreds of members about residential sales and lettings, found most in the industry believe Brexit is “holding back sales activity”. Hew Edgar, head of policy at RICS, said the state of British politics that has arisen from Brexit – particularly in the past six months – has taken a toll on UK housing. “UK Parliamentarians must recognise that the prolonged uncertainty without effort to address separate key issues in the UK is damaging confidence in the housing sector, and we share the resounding sentiment of frustration from our professionals,” Mr Edgar said. Mr James, who plans to spend a year working, travelling and enjoying life in London with his wife, said the difficulties were part of moving abroad. “Sometimes you just need a few good friends to move in with to find your feet,” he said.